Cynics United: When Did Conservatives Change Their Mind About Campaign Finance Disclosure? A decade ago, when Congress was debating the Bipartisan Campaign Reform Act, better known as McCain-Feingold, the conservative alternative to its modest tightening of regulations on political spending bore the wonderful name DeLay-Doolittle. The name represented not just the two primary sponsors—then-Reps. Tom DeLay and John Doolittle—but also what the bill would do, or not. As an alternative to restrictions on soft money and corporate spending, DeLay and Doolittle proposed to lift all existing regulations on political contributions, and replace them with a regime of immediate and complete disclosure on the Internet. DeLay and Doolittle faced two problems, however. First, its supporters soon disappeared from Congress under murky circumstances. DeLay was indicted on campaign-finance related charges in 2006 and resigned. Doolittle, deeply implicated in the Jack Abramoff scandal, left Congress in 2007. The third major supporter of the bill, Rep. Bob Ney, served 17 months in prison connected to the Jack Abramoff scandal. The second problem with DeLay and Doolittle was that its supporters didn't mean a word of it. They didn't want to disclose their donors and outside backers any more than they wanted to limit them—after all, they went to great lengths to hide information such as their dealings with Abramoff. It was only a slick way of changing the subject. This type of dodginess has always informed the GOP's advocacy for campaign finance disclosure laws. The difference this year is that the cynicism has now been brought into full view. This is the first presidential election campaign, after all, since the 2010 Citizens United case, which should have given momentum to the disclosure movement. The unabashed response by conservatives, however, has been to turn against disclosure laws entirely. Campaign reformers saw in this aspect of Citizens United and the subsequent cases a small silver lining. If nothing else, there was at least consensus on disclosure. With the support of Justice Scalia, the historic enthusiasm of Republicans for disclosure, and the creative use of technology to connect information about contributors to data that revealed their interests, politicians could be held accountable and transparency would be at least a first step toward limiting the influence of money in politics. Congressional leaders moved quickly in 2010 to introduce the DISCLOSE Act to take full advantage of the Court's green light on disclosure. The Wall Street Journal editorial page, particularly columnist Kimberly Strassel, has launched a full-fledged anti-disclosure campaign along precisely Smith's lines, arguing that law-abiding contributors would be subject to government harassment. “The President Has a List,” blared the headline of Strassel's April 26 column, referring to a website connected to the Obama campaign that identified some Romney donors involved in businesses that foreclosed on homes or outsourced jobs. Strassel quoted GOP lawyer Ted Olson (who argued Citizens United) predicting that the president would use “the power of the IRS, the INS, the Justice Department, the DEA, the SEC” against the named Romney donors. That there's no evidence of such official harassment, and that it would be a huge scandal if it occurred (the case for impeaching Richard Nixon in 1974 involved exactly such activities), doesn't seem to have any effect on this imaginary argument. In a later column, Strassel narrowed her victims of harassment to one, Frank VanderSloot of Idaho Falls, Idaho, who donated $1 million to the pro-Romney SuperPAC. Apparently someone faxed a request to the local court clerk asking for records of VanderSloot's divorce and a business dispute. Although Strassel couldn't figure out on who's behalf the request was made, and she doesn't indicate that the records were actually turned over, it was enough to convince her that the official crackdown had begun. VanderSloot told Strassel that, “when I first learned that President Obama's campaign had singled me out on his 'enemies list,' I knew it was like taping a target on my back.” But the “public beatings” would be “no deterrent,” he declared, and might even lead him to put more money behind Romney. Unfortunately, VanderSloot doesn't make a very compelling victim. As Glenn Greenwald reported at Salon in February, he's far more likely to be an intimidator than intimidated. At one point, after the Idaho Falls newspaper reported on a child molester in the local Boy Scout troop who had been protected by a Mormon bishop and Boy Scout leaders, Vandersloot's company bought multiple full-page ads in the paper, which identified the reporter as “a homosexual,” although he was not out in that community. When Mother Jones published an article about VanderSloot in February, his lawyers reportedly demanded so many changes that the article was pulled for almost two weeks and then a substantially revised version was posted. He's paid for (that is, his company has paid for) billboards around Idaho attacking the state's public television network for promoting “the homosexual lifestyle.” No, it's not too likely that being publicly identified as a Romney contributor is going to back him down. Indeed, VanderSloot is a good example of the merits of disclosure. Consider his business, Melaleuca, Inc. It sells nutritional supplements through a pyramid-marketing scheme, like Amway. Far from being harassed by government regulators, marketers of nutritional supplements enjoy the special protection of the Dietary Supplement Health and Education ACT of 1994, which limits the Food and Drug Administration's power to review and approve nutritional supplements in advance, as they do drugs. The act's lead sponsor, and its most relentless enforcer, is Senator Orrin Hatch of Utah, who is also one of the largest recipients of Vandersloot's donations and the largest beneficiary of the nutritional supplement industry. 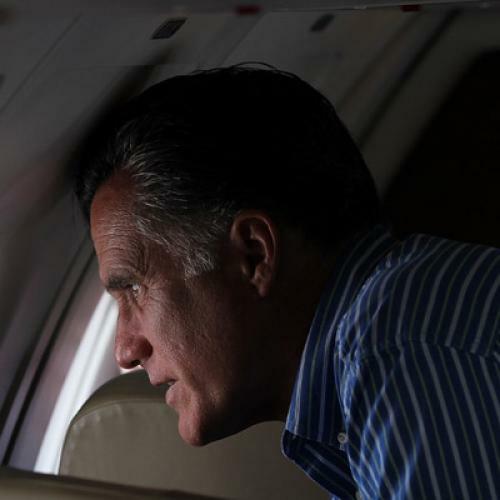 Mitt Romney is the second biggest beneficiary of the industry, right behind Hatch, and no one else is even close. All of these things are worth knowing. But they require a fair amount of research to put the contributions, independent expenditures, and related business interests in context. The effort also reveals some of the limits of disclosure. Perhaps VanderSloot gave money to Romney because he expects Romney's support in keeping the FDA away from his products. Or maybe he supports Romney just because he's a raging homophobe. Or because they're both Mormons. (Mormons dominate the dietary supplement industry, so the categories overlap.) And it's possible that Hatch supports the dietary supplement industry, as he claims, only because he credits its products for his vigorous old age. Since everyone has multiple interests, it's always difficult to spot the direct relationship between political spending and government action—but that doesn't mean there isn't one, sometimes. But that's why disclosure and transparency alone can never be a full substitute for the basic, modest limits on contributions, combined with public financing, that can prevent candidates or elected officials from becoming fully dependent on particular large donors and their interests.